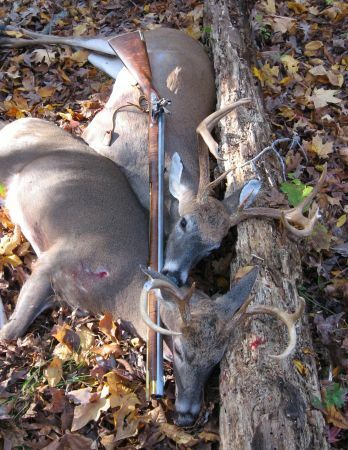 Christened the new .58cal Early Virginia Flintlock opening morning muzzleloader, 11/07/09. Fantastic deer and the young man apparently handled everything perfectly...congratulations to you both ! WJC has not filled this section yet.